Maknae Hyung Jun left a message at DSP website today! Wow! He still leaves messages in their old company's website! After all, DSP did give birth to SS501. He is so sweet! He thinks of us Green Peas, and he always makes it a point to show us that he cares for us. So touching! He made me tear up with his message. 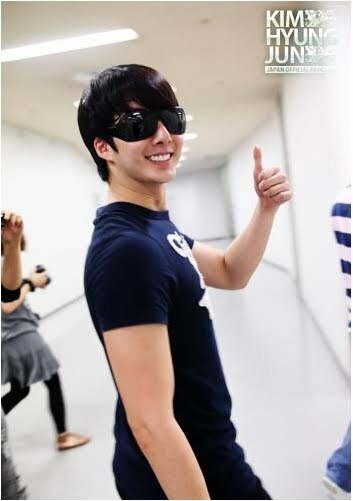 Thank you Hyung Jun! Didn't get any rain damage yesterday right? Everyone must have had a difficult time since it is Chuseok. I will spend a few days of the Chuseok long holidays with my family from today onwards as I just returned back from Japan yesterday. And cherishing us even more. I love you~!! Merry Chuseok and it is a happy Chuseok.